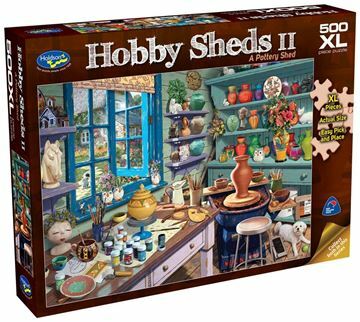 Self taught artist Steve Read brings together the wonder of a pottery shed and man cave in his second Holdson Hobby Sheds 500pc XL puzzle series. Both designs are detailed and perfectly coloured to match the theme of their Hobby Shed. 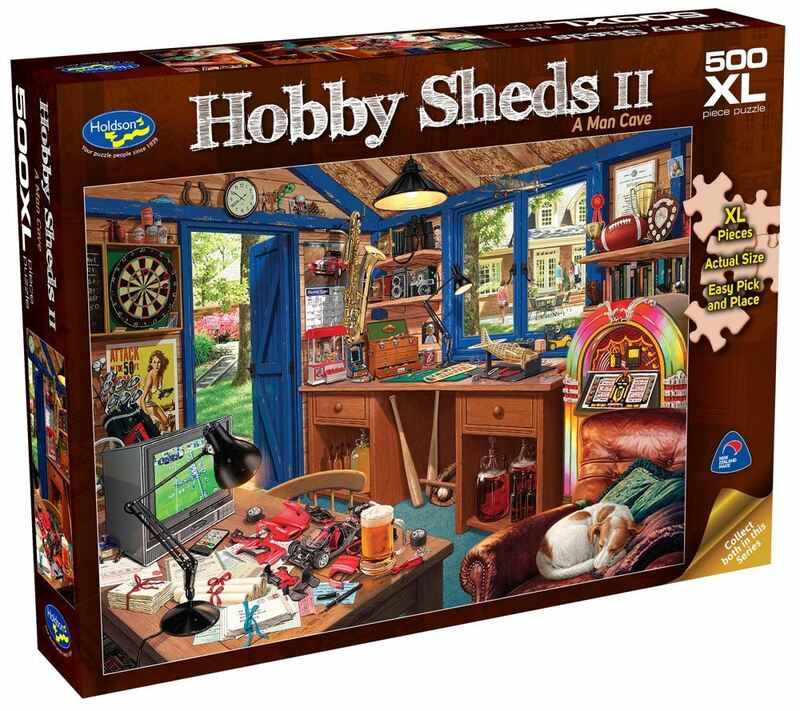 Titles include: A Pottery Shed and Man Cave. Each design sold separately. Collect both designs. Age 8+ years. Made in New Zealand by Holdson. Approximate puzzle dimensions: 688mm x 493mm. Box size: 270mm x 370mm.